Cuba's top court has overturned the conviction of Quebecer Toufik Benhamiche, who was sentenced to four years in prison following a boating accident that killed a fellow tourist. Benhamiche still isn't allowed to come home and is asking Canada for help. Cuba's top court has overturned the conviction of a Quebec man who was sentenced to four years in prison following a boating accident that killed a fellow tourist, but Toufik Benhamiche still isn't allowed to come home and is asking Canada for help. ​A year after his all-inclusive vacation turned into a nightmare, Benhamiche, 47, told CBC News that being so far from his wife and two young daughters, age six and eight, "is the most punishing thing of all." "It's impossible to live in this way. It's very hard, and it's very difficult for me and my family also." Benhamiche was driving a motorboat as part of a tourist excursion with his family in July 2017 in Cayo Coco when it veered out of control, striking and killing Jennifer Ann Marie Innis, a mother of three from Ontario. He was sentenced to four years for criminal negligence causing death, but Cuba's Supreme Court has since found flaws in a lower court's handling of the case and reversed all its decisions. Benhamiche said the high court has even put the blame on the tour operators instead. ​Despite the legal victory, Benhamiche has been told he can't leave the country while Cuban prosecutors re-examine the case and potentially reopen it — a process that could take one or two years. Benhamiche, his wife Kahina Bensaadi and Montreal civil rights lawyer Julius Grey are demanding Canada step in and persuade Cuba to let him leave. More than 1,600 Canadians have signed a petition backing that demand. So far, however, Canada has "done nothing" to help, said Benhamiche, who has been in regular communication with the Canadian consulate. 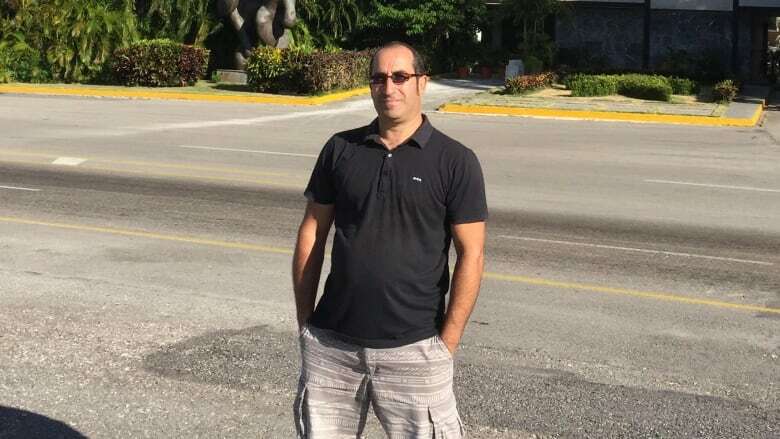 Benhamiche, a Mascouche resident who works as an engineer for the City of Laval, has been stuck in Cuba for the past year, switching from temporary apartment to apartment while the legal process unfolds. He has not spent any time behind bars. Because Cuba is forcing him to stay in the country, checking in with immigration officials every day to ensure he hasn't fled, Benhamiche can't work, and money is tight. He has been borrowing from family, he said, and the news that he must continue to stay in the country was "very discouraging." Grey contends the accident wouldn't have resulted in charges in Canada, and now it is up to the federal government to get Benhamiche home. "We are putting pressure on Canada," Grey told CBC Montreal's Daybreak. "Canada has to help Canadians who are in trouble abroad. It is our view that Canada has to persuade Cuba to allow him to return home right away, immediately, without any further loss of income and separation from his family." Grey said he sent a letter to the Canadian government yesterday, giving officials a week to help remedy the situation. 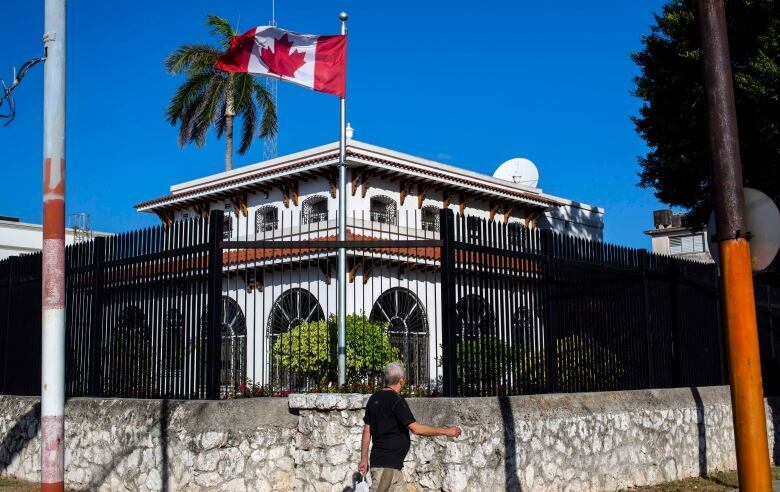 Elizabeth Reid, a spokesperson for Global Affairs Canada, told CBC News that consular services are being provided to Benhamiche. "Consular officials in Havana, Cuba, are in contact with local authorities to gather further information on the status of his case," she wrote in an email Wednesday evening. No more information can be divulged, added Reid, due to the provisions under the Privacy Act. ​Benhamiche's family has also filed a lawsuit in Canada against the travel operator Sunwing, alleging Benhamiche was given little instruction on how to operate the craft and was assured it was easy to use and not dangerous. "They said there's no danger, nothing ever happens, and the boat turned out to be very powerful," said Grey. "He lost control." When the lawsuit was filed in May, the travel operator said in a statement it did "not see merit in the legal action, as Sunwing Vacations does not own, manage or operate local excursions in Cuba." It noted the fatal accident took place during an adventure tour offered by local partner Gaviota Tours, which subcontracted the boat portion to another company, Marlin SA. The travel company said it suspended selling the tour pending an investigation. Sunwing said the fatality is the only major incident on record since the tour began operating in 1997.